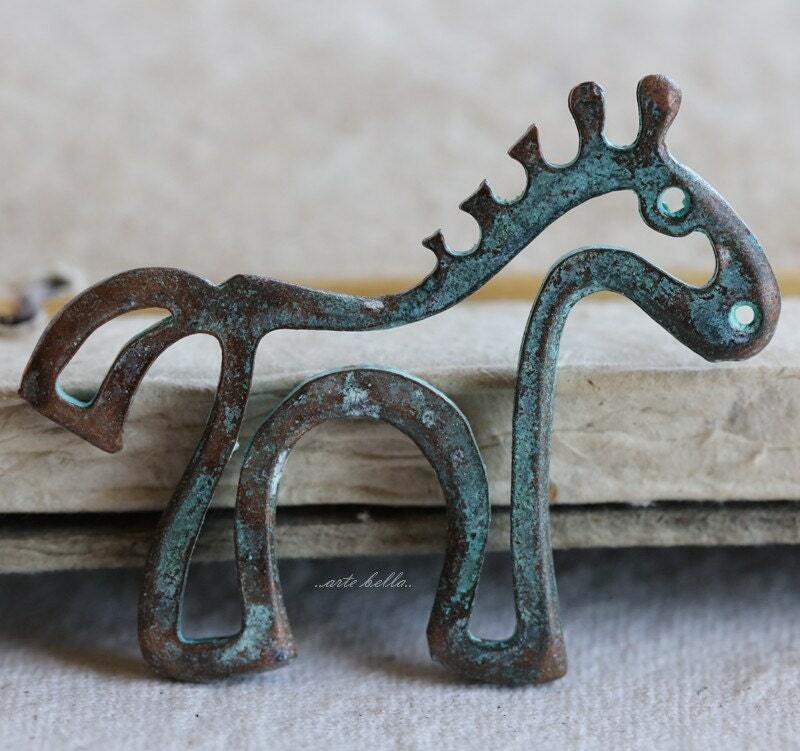 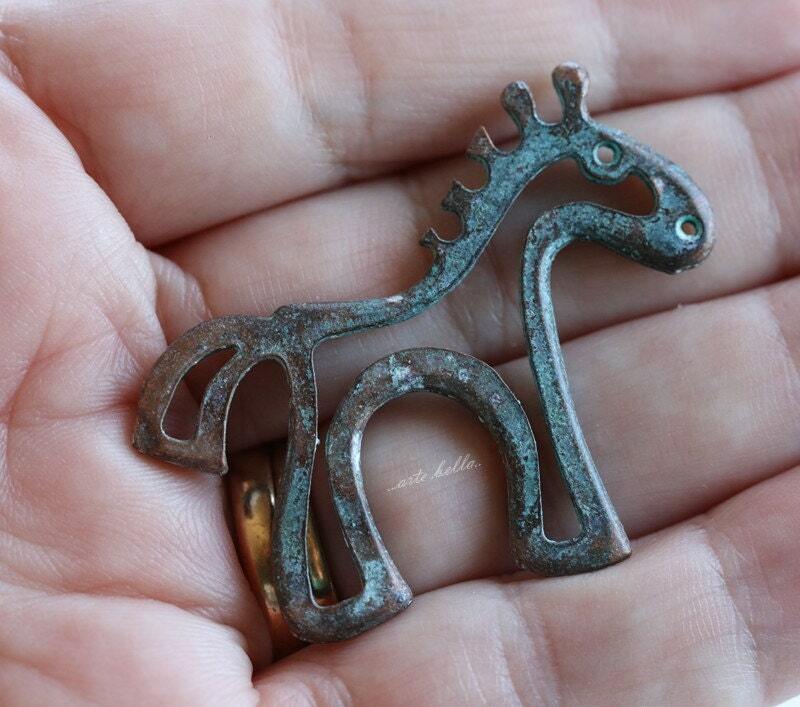 Cute horse pendant cast from lead and nickel free base metal then plated in copper, a patina is then added. 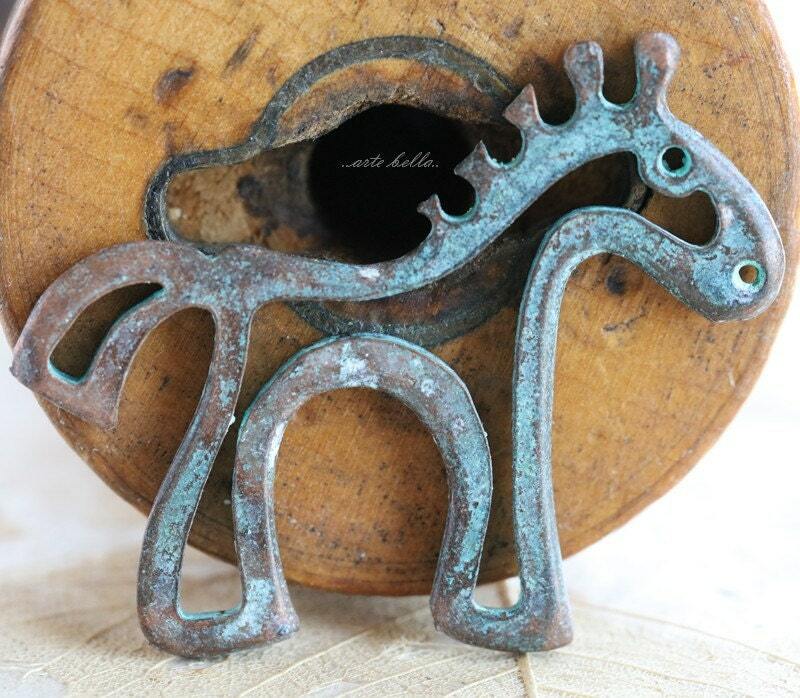 Really cool Mykonos horse pendants...sturdy pieces. 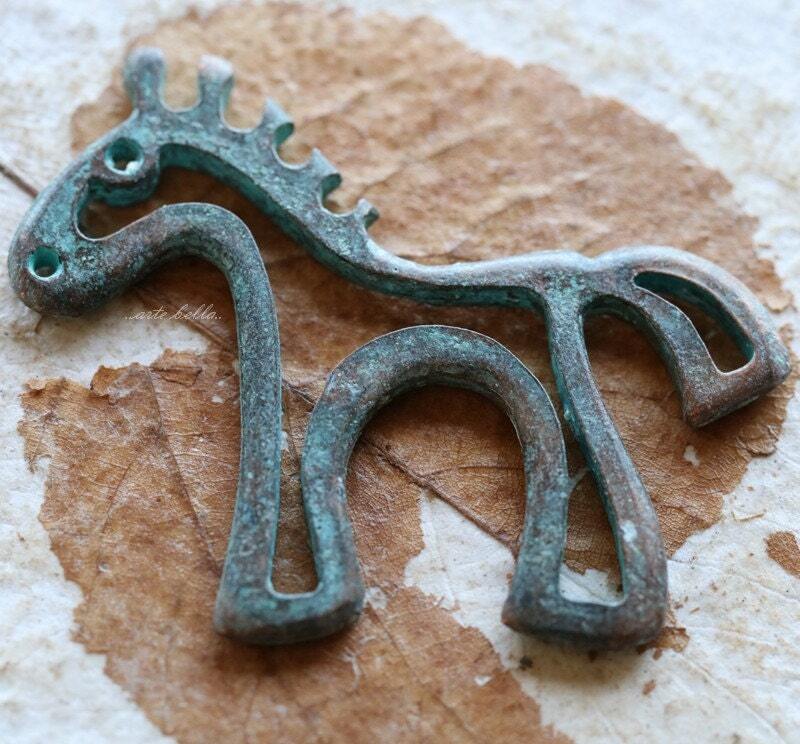 Adorable horse pendant, and I can't believe how fast my entire order arrived! 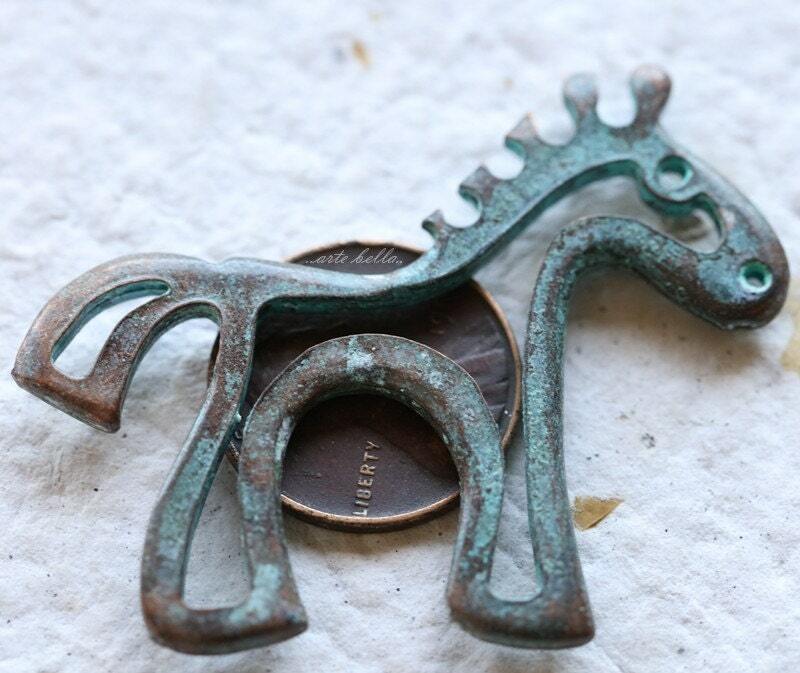 Thank you for shipping so quickly, especially in the midst of the Holiday rush -- much appreciated!